Here is a true master, Ron Meyers, at work painting a plate. The press pool was all around and he took the constant flashing pretty well. A real pro. Ron flowed throw his pots with grace, all the while keeping a steady banter with the crowd. 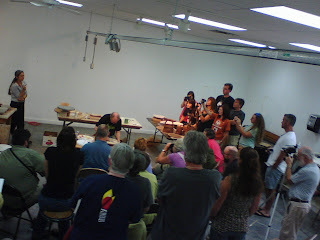 He has done countless workshops/demos/symposia over the years. When I was a student at UT Knoxville, Ron came there for a couple of days with his neighbor Michael Simon. Without a doubt, I was blown away then and I was blown away again at Arrowmont. I got excited about decals and screen printing by Kansas City artist, Andy Brayman. 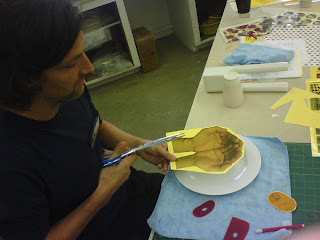 In the above picture, Andy is trimming a huge decal of his own hands that he will fire onto a dinner plate. I hadn't met Andy before the symposium and we had some great conversations. I don't know how decals, etc. will fit into my old timey wood fire genre, but it's going to be very interesting when it does. 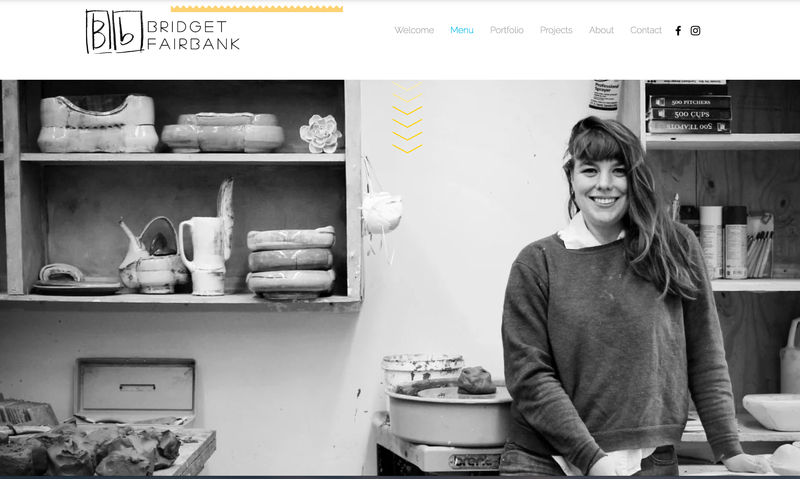 You can find out more about Andy's work at his web site, here. Andy was part of a panel discussion along with Mark Shapiro and Linda Sikora. He showed some very interesting trends with customization of consumer products that included the mini Cooper and a set of artist/designer dishes that were being bandied about for a mere 10000 £. 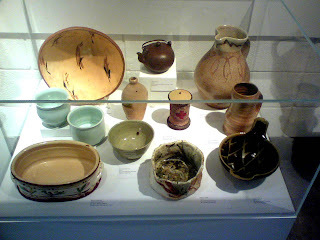 One of the favorite events of the quadrenially held symposium is the potter's favorite pots discussion. Here are the pots that all of the presenters brought to show and tell. 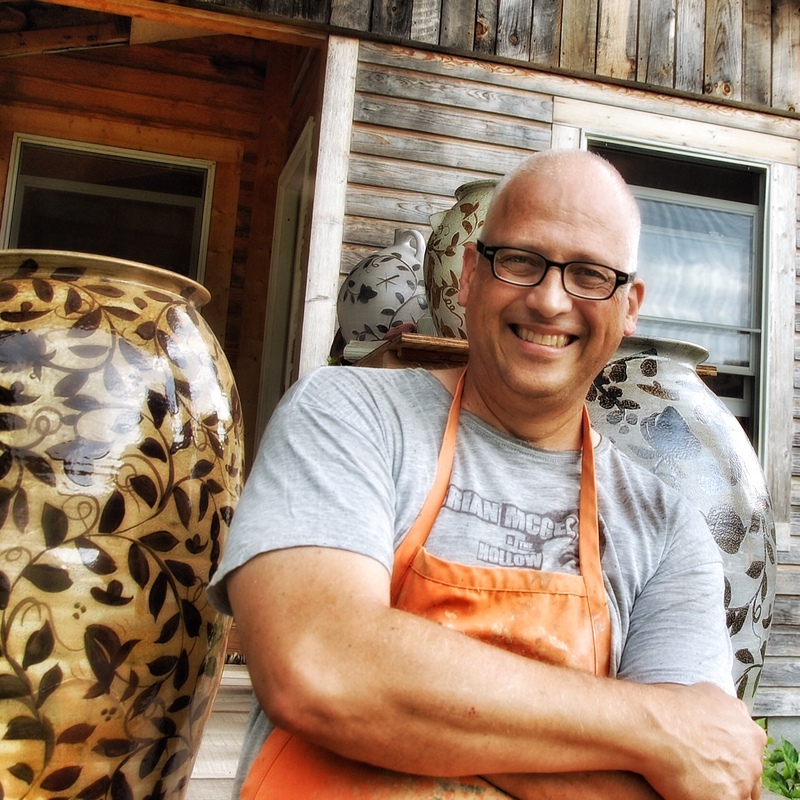 Can you name some of the potters who made these?